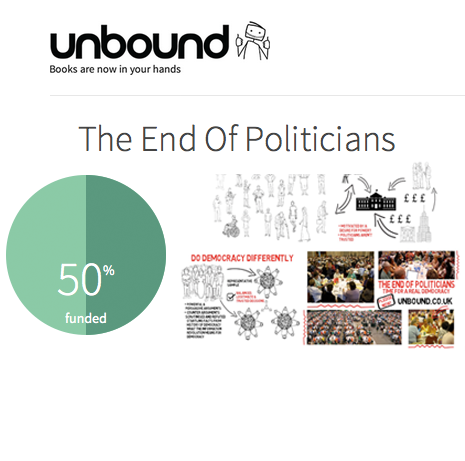 Here’s the latest on the new book on sortition, and two events in London next week: the Citizens’ Parliament strategy meeting, and the Sortition Foundation’s first Annual General Meeting. The Citizens’ Parliament Strategy meeting: (http://www.citizensparliament.uk/) will be held from 1-4pm on Wednesday April 6th at Le Pain Quotidien (16 North Audley St, Mayfair, London W1K 6WL). Please RSVP if you wish to come along. Hennig has the right idea: Democracy requires innovation at any age, but especially this one. The End of Politicians doesn’t call for an end to politics, but rather to antiquated institutions over-reliant on a small number of elected leaders. That system brought us this far, but Hennig reviews many of the alternatives that are already reshaping governance, by injecting the wider public back into public life – not as a mobilized mob, but through more deliberative bodies. Reading this book gives a glimpse of what’s already changing and what lies on – or just beyond – the horizon of democratic political reform. Where: Rasa Restaurant (6 Dering St, Mayfair, London W1S 1AD). Please RSVP if you intend to come along. When: 1-4pm, Wednesday April 6th. Where: Le Pain Quotidien (16 North Audley St, Mayfair, London W1K 6WL). Please RSVP if you wish to come along.